Schedule a consultation with us if you have any questions regarding these immigration petitions and processes. We will be glad to provide you with the best advise and guidance on the subject﻿. Our law firm is exclusively dedicated to provide services in the complex field of immigration law. Our knowledge, competence, and experience in this intricate field allow us to provide high-quality services by high-caliber professionals. Because we are fluent in Spanish, English and Italian and proficient in Portuguese, we understand your questions and address your needs in your language. Our mission is to provide high-quality services where attention to detail and the needs of our clients are met. The cases we handle are as diverse as our clientele. We will consider your particular needs in order to find the best solution for you. Illya-Karina Bonet (Karina Bonet) is a litigation attorney with over ten years of experience. 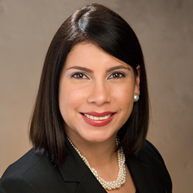 Since September 2009, she has exclusively practiced immigration law at some of Miami's top immigration law firms. A careful analysis of the facts of your case and devising a proper strategy at the onset is key. In identifying the subtleties of your case and communicating them to you in a clear and concise manner, we will guide you through this often complex field of law. We will provide you with sound advice that will allow you to make informed decisions and achieve your goals. Our office is located at The Roads Professional Center, only minutes away from I-95, US-1, Coral Gables, and Brickell.